Skeletal muscle. 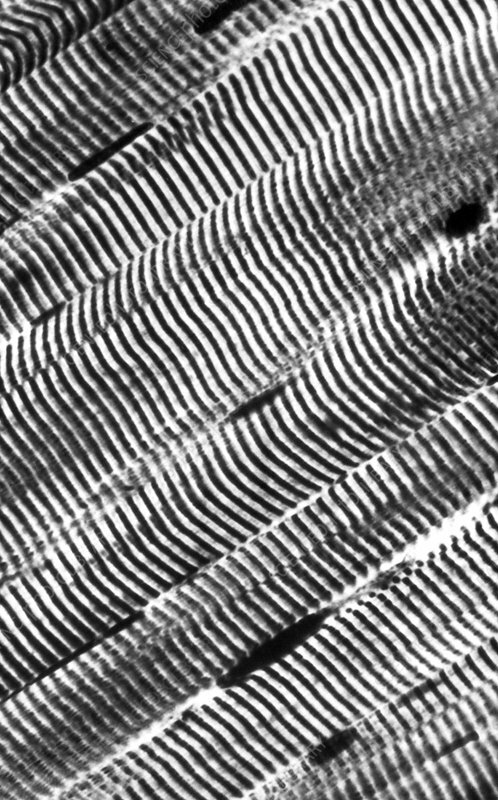 Skeletal muscle is striated, and occurs in bundles. The individual fibres are long and multinucleate. Light micrograph, magnification 40x.